peaceful parenting: Are you prepared for the R-22 Phaseout? More than two decades ago, the U.S. Environmental Protection Agency (EPA) set the timeline for the phaseout of R-22, a refrigerant used in many home air conditioning units. This phaseout will affect millions of homeowners across the country. You, however, can reduce its impact on your household by getting ahead of the R-22 phaseout and taking action now. What Is the R-22 Phaseout? The EPA recognizes R-22 refrigerant as an ozone-depleting compound. Ingredients in the compound have an adverse effect on the ozone layer surrounding the Earth's atmosphere. In order to prevent further damage to the ozone layer, the EPA announced the phaseout of certain ozone-depleting compounds, including R-22. The EPA stretched out this phaseout over a longer time frame to minimize the impact on homeowners. Production of air conditioning units requiring the R-22 refrigerant stopped in 2010. The EPA also limits how much R-22 comes into and how much companies make in the United States every year. According to the EPA timeline, the production and imports of the R-22 compound will stop by the year 2020. After this point, HVAC technicians will need to depend solely on reclaimed or recycled R-22 to service older AC units. The goal is to phase out the use of R-22 completely by the year 2030. Will the R-22 Phaseout Affect You? 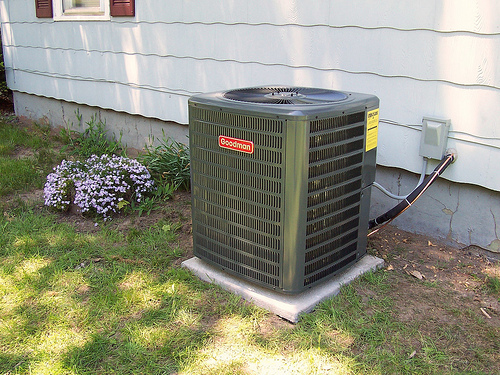 If you have installed a new air conditioning unit after 2010, the R-22 phaseout will likely not affect you. However, you should have a professional HVAC technician inspect your existing air conditioning unit to find out what type of refrigerant it uses. If your unit uses R-22, the most immediate effect the phaseout will have is a possible higher repair cost. As less and less R-22 refrigerant is available on the market, the costs for replenishing it in home air conditioning units will continue to rise. After 2030, homeowners still using air conditioners that use R-22 will need to replace these units. What Can Homeowners Do Now? If your air conditioning unit requires R-22 to operate, don't panic. You can take several steps now to decrease the effect this change will have and lower your immediate out-of-pocket expenses. The most important step you can take now is to regularly maintain your current air conditioning unit. The R-22 refrigerant will last for many years if your unit does not have any leaks and your unit is working properly. Check for leaks in your air conditioner by having a professional HVAC technician come to your home. You also want to schedule regular inspections to make sure your HVAC system is operating at peak performance. Ultimately, you will need to buy a new air conditioning unit by the year 2030. The good news is that today's units are energy-efficient systems. Because of this boost in energy efficiency, you will save money on your energy bills and help to protect the environment. Many homeowners also are eligible for various rebates and government tax credits. Getting ahead of the R-22 phaseout can help you save money. Contact an HVAC technician to learn more about the R-22 phaseout and to explore all of your options.